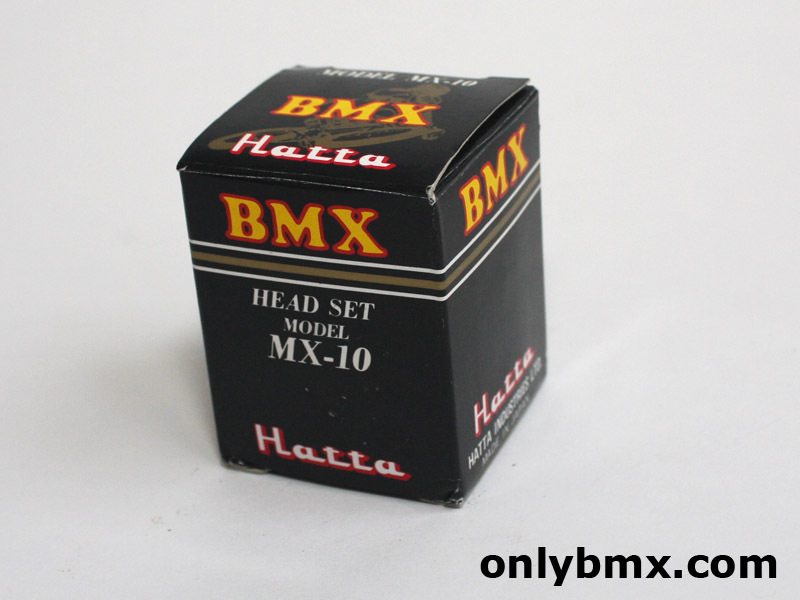 New in the box Hatta MX10 headset. Only unwrapped the top to show the headset and note that there isn’t any stamping on the top. 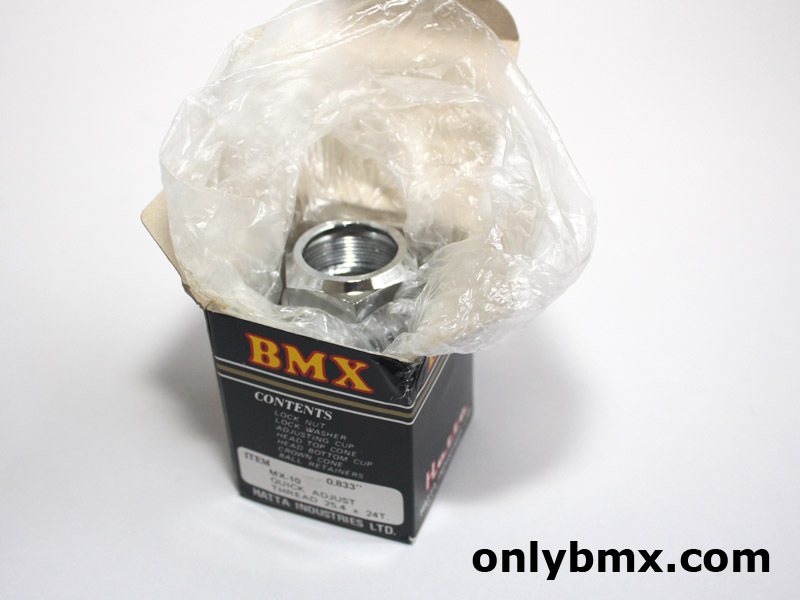 I think this means it’s one of the older ones if the chatter on the BMX forums is correct! 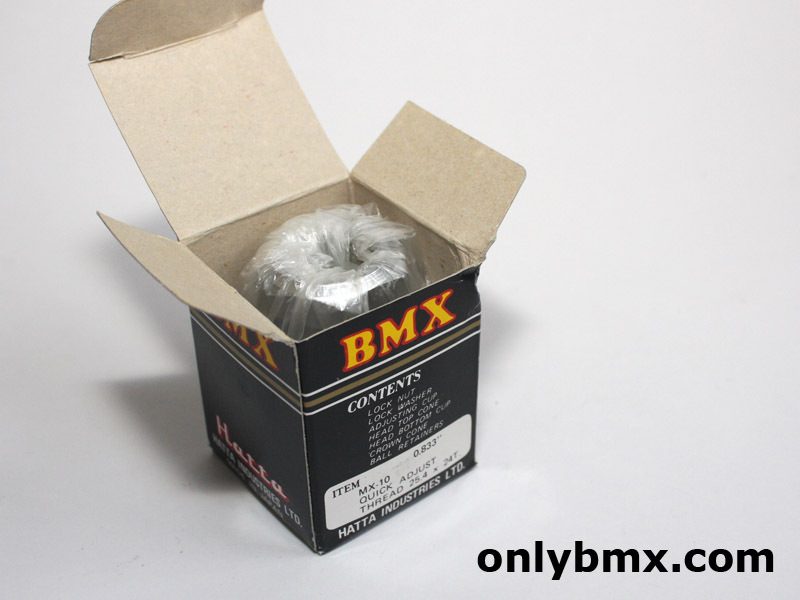 Original equipment on some Redline BMXs and a welcome change to the standard Tioga headsets that are more freely available, including some here.